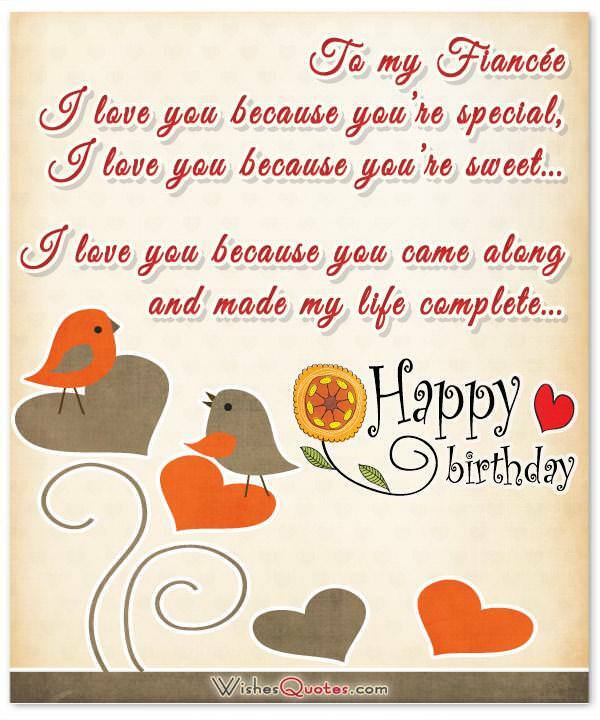 Birthday wishes for Fiancée from the heart: Let your Fiancée know how much you care on her birthday with these sweet birthday messages, romantic birthday quotes and cute birthday greeting cards. Your fiancee is a very special person. You chose her, and she chose you for a lifetime of togetherness and a union that will last until the end of days. This being the case, get used to doing the little things that make a relationship stronger such as remembering special dates such as her birthday. Make her feel truly special on her birthday or everyday during her birth month. Treat her birthday like it’s National Fiancee Day because she deserves the praise, good thoughts and appreciation. Let her know in several ways: a text message, a Facebook post or a heartfelt message delivered via singing telegram. Here are some birthday messages to inspire you. Use them as is or customize them for your purpose. You made so many people happy just by being born. You turned my life into an endless stream of bliss. I look forward to our life together, my birthday girl. I have become the best version of me because of you. With you beside me for the rest of our lives, who knows what super-being I can become? Thank you, sweetheart. You are a blessing to me and to so many others. Here’s hoping that all your dreams come true. Happy Birthday! My special woman deserves special treatment on her special day. I hope you’re ready for a big celebration today! Sometimes it’s scary that I am so used to having you around to listen to me and hold me back from making serious errors. Then I realize that we will soon vow to be together for life. That makes me so happy. Happy birthday, love! I’ve discovered the secret to a lifetime of happiness–you! May this day be filled with all the love and blessings because you deserve it all. 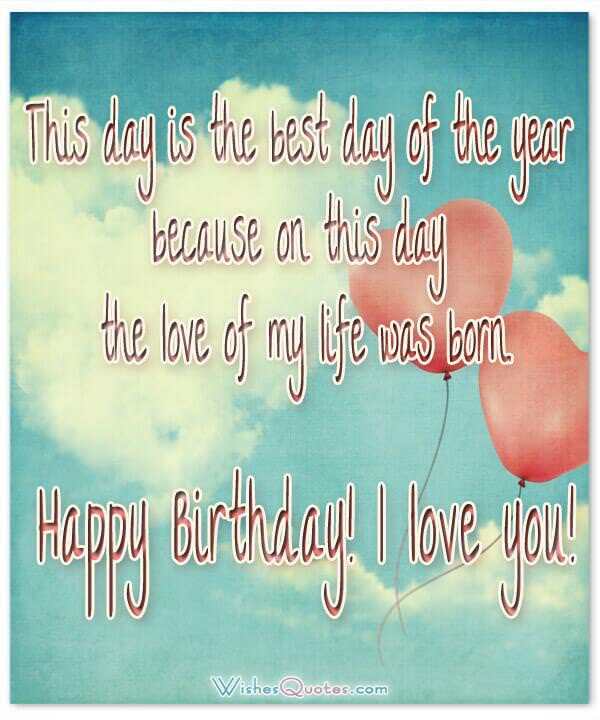 Today is a special day for me because it’s your birthday. I plan to spend all day telling you how wonderful you are. You’ll be pampered like a princess and worshiped like a queen. You’ll be the moon, the sun and the center of my universe today and always. I thought of hiring a sky writer to paint the skies with my message of love and adoration on your special day. But I know that you would like it more if I delivered the message myself, so here I am. Happy Birthday. Today should be a national holiday because you are a national treasure. Happy Birthday, sweetheart! You and I will soon be family in the truest sense of the word. 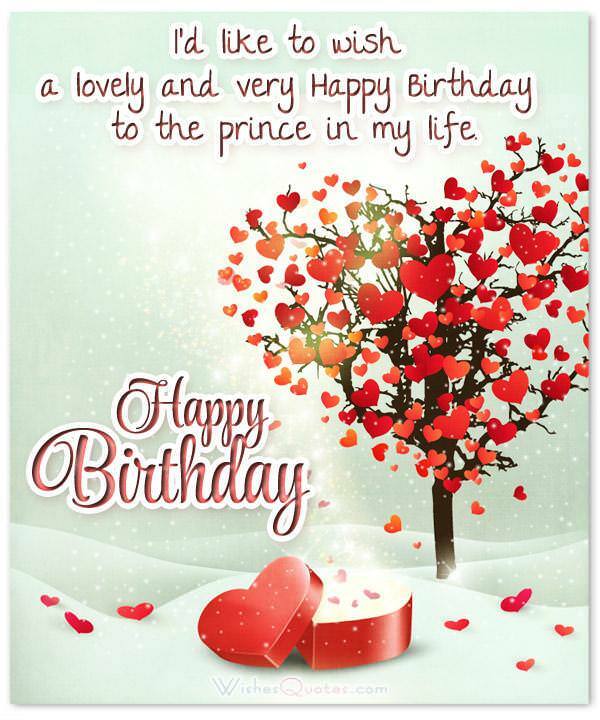 I look forward to sharing every birthday, anniversary and all the holidays with you. Happy Birthday, my dearest love. In life, people come and go. I’m glad you’re sticking by me. Happy Birthday! They said nothing lasts forever. I think we can prove them wrong. 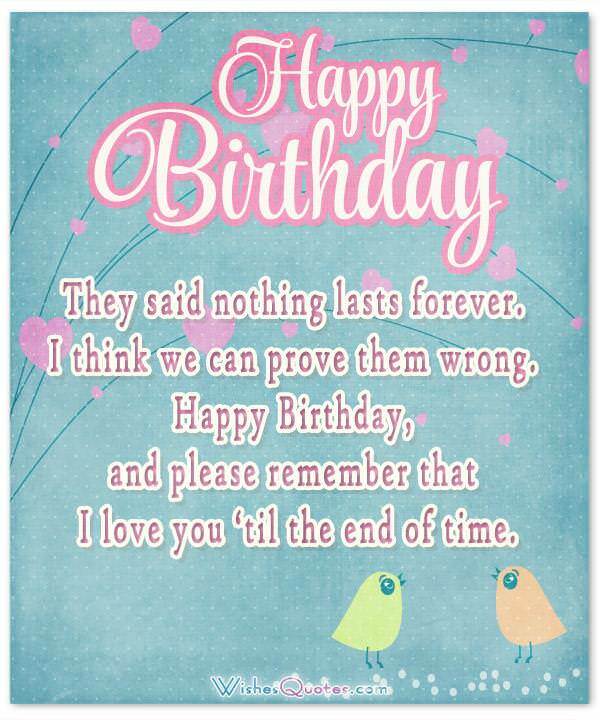 Happy Birthday, and please remember that I love you ‘til the end of time. Forever is a very long time, but nothing is ever tedious when we are together. Happiest of birthdays today, my dearest. If I could, I would buy the naming rights for a star just for you. You are a star in our own little heaven. You are so precious to me. Happy Birthday, love. Some men are scared of commitment, but that’s because they have never met someone like you. I am so fortunate to have you in my life. Happy Birthday. Life is filled with twists and turns, but nothing fazes me with you by my side. Have a joy-filled birthday. On your birthday today, your wish is my command! But that holds true every day for the rest of our lives. Heaven has a special place for wonderful humans who, through their selflessness and compassion, bring out the best in the people around them. 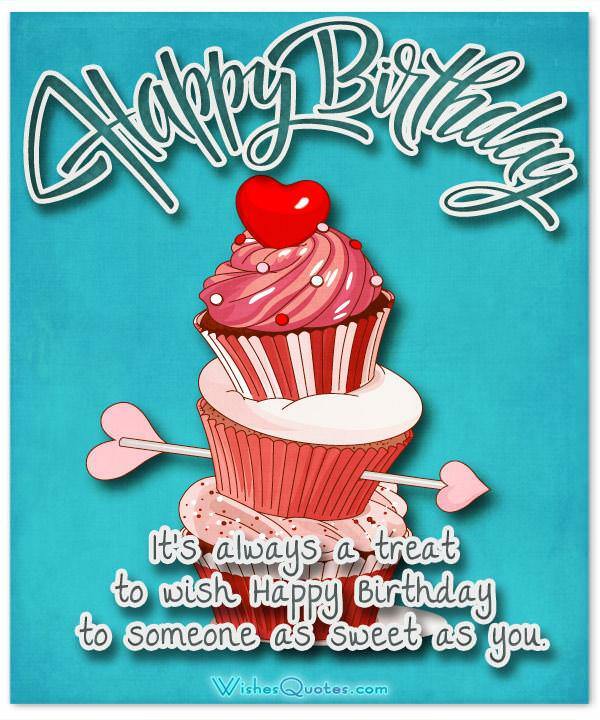 You, my dear, are one those wonderful beings, and I wish you the world on your birthday. I am so proud that you have chosen to share the rest of your life with me. A great adventure awaits us. Meantime, have a wonderful birthday today. The ties that bind us are bonds of love. You, me – forever. Happy Birthday to the sweetest woman on this earth. We have been through sunny days and stormy weather, but you have managed to smile through it all. You are amazing and I love you more each day. Double points on your birthday. I bet the heavens opened and the angels started singing when you were born. That’s what it feels like to me whenever you are around. May you have all that your heart desires on your birthday. You are my lifetime commitment. Count on it. Happy Birthday to the woman who cured me of my commitment phobia. I feel like a fool whenever I think of you. It brings a silly smile to my face at the most inopportune times. I wouldn’t have it any other way. You should see me now as I write this note. Happy Birthday, my fair lady. On your birthday, we will celebrate our past and toast our future. A world of joy, wonder and discovery awaits us. In a world of 50 billion people, how is it that we were fortunate enough to find each other? Destiny: We were meant to be together. 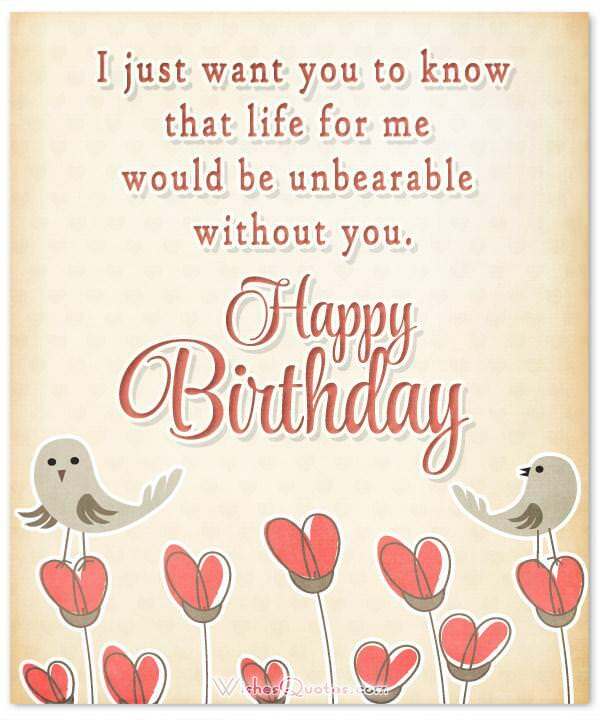 Today and every birthday hereafter, you will be reminded of how much I value our togetherness. May your life be filled with laughter, fun and the company of good people like me. Happy Birthday to my partner in crime.